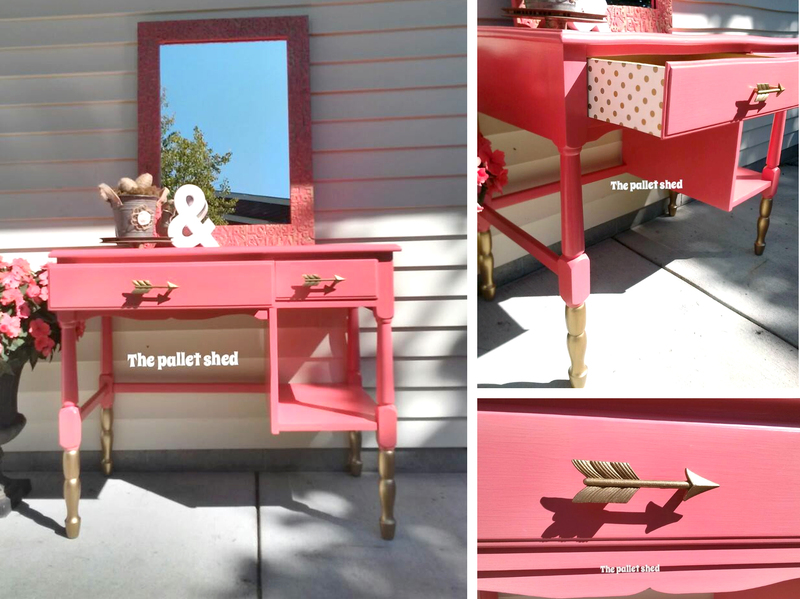 Crush-worthy desk makeover by Michele at The Pallet Shed_! She used Coral Crush Milk Paint with some fun polka dot patterned paper on this beauty. Want to be featured by General Finishes? Tag us in photos of your projects featuring our products!